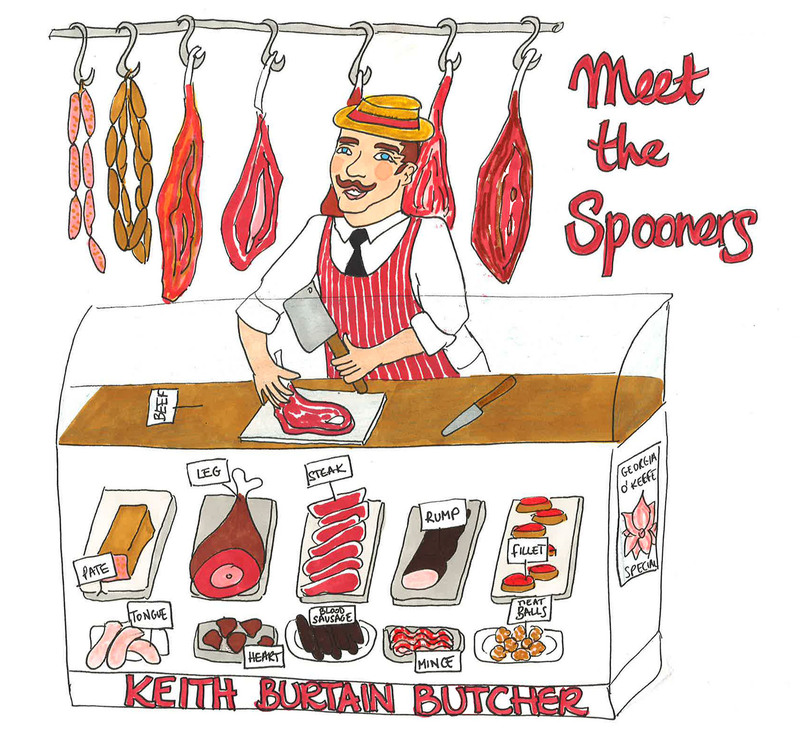 Next in the spoonerism family…Keith is an unusual soul for a butcher – he’s definitely in touch with his feminine side – as demonstrated by his love for Georgia O’Keefe’s art. He feels a kinship there that he just can’t quite explain, especially when quartering a good leg of lamb. If you’re still struggling, swap the first letter of the names to find the real identity of these very RUDE characters.